It’s a highly practical resource that allows you to build a positive learning environment and teach valuable life skills. Inspire in your students a desire to live active and healthy lives. Use skills learned through PE and sport to get students’ college and career ready. Help students develop a growth mindset and recognise that obstacles, challenges and failures provide the greatest learning opportunities. You can easily apply every activity to your curriculum. They include a motivational strategy and resource tool using the acronym GROWTH. This helps your students learn and adopt the growth mindset traits that are needed to set and reach their goals. Hot topics, such as emotional intelligence, community building, teamwork, physical fitness and goal setting are also addressed. 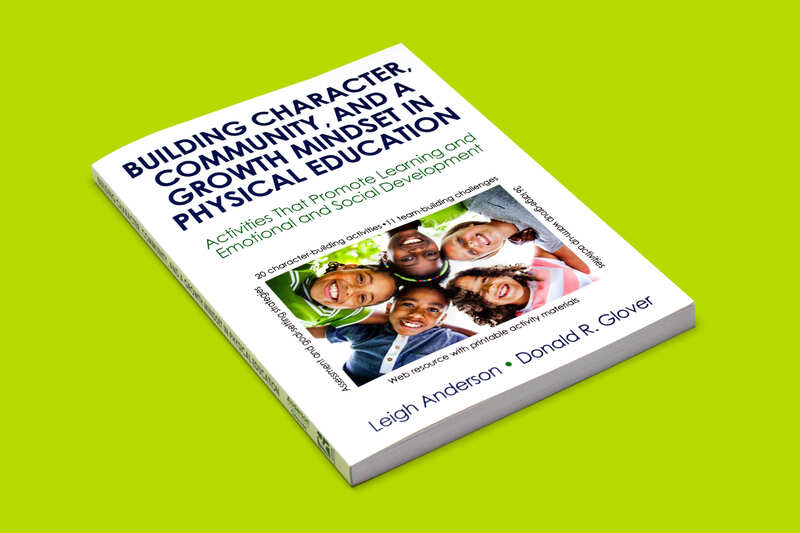 You can watch a webinar from the authors Leigh Anderson and Donald Glover called How to build character, community, and a growth mindset in physical education at humankinetics.com. Building Character, Community, and a Growth Mindset in Physical Education is available to buy now from humankinetics.com priced at £21.49 / €25.80 (HK Rewards Members £17.19 / €20.64). Each month Human Kinetics produces three unique email newsletters. Our emails contain great articles, events, news, new books and exclusive reader offers. They’re completely free and you can unsubscribe at any time. Subscribe today.